Is part-exchange the right route for you? Purchasing a top of the line motor takes some financial consideration, and you will want to know all the options available to you. At Spencer’s Car Sales, we aim to link every buyer with their perfect vehicle and to ensure that you are driving away happy with your deal. Our Norfolk showroom is home to some amazing prestige cars which have been hand-picked for resale by our motoring specialists. If your vehicle purchase is to replace your existing car, you might want to consider our part-exchange option. You can trade your car with us, putting the value of the old car against the price of the new one. We consider any vehicle that is in decent working order, and you can get an idea of your car’s value by sending us details of its model, age and general condition. Part-exchange is a fantastic way to make purchasing that prestige vehicle a reality. High-end models may no longer be outside of your budget, and you can extend your range of choice further knowing that your old vehicle is covering some of the cost. It also guarantees that you get a fair deal when moving your old car on, and protects you against scam buyers. As a reputable official retailer, you are covered by full consumer protection when we buy your old car. Of course, the part-exchange route is not for everyone. 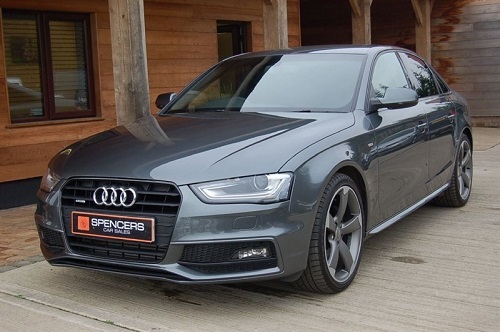 You could also consider taking out car finance, which the experienced team here at Spencer’s Car Sales can advise you on. We secure great deals with top brokers and make sure that you receive a payment plan you are comfortable with. For a luxury vehicle purchase, you may be able to combine part-exchange with a finance package and take home a car that exceeds all your expectations. Make a statement and drive away in a fantastic prestige vehicle – trade in your old car at our Norfolk dealership today.